You’ll want to put a bleed page under your work when using markers. Coloring board only. 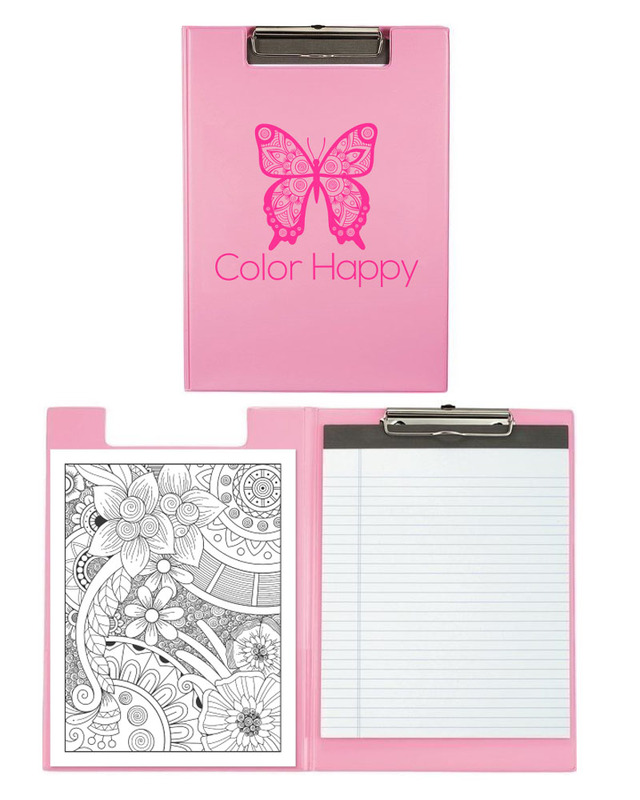 Notepad and coloring pages for display purposes only and are not included. 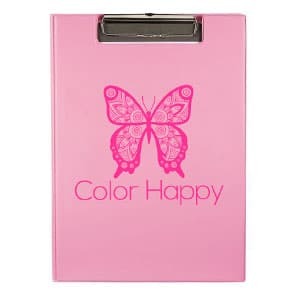 Color Happy Branded Professional Coloring Board! This high quality clipboard is perfect for holding – and storing – your WIP (work in progress). Sturdy, with an interior pocket. Perfect for travel, AND for protecting your tabletops at home.